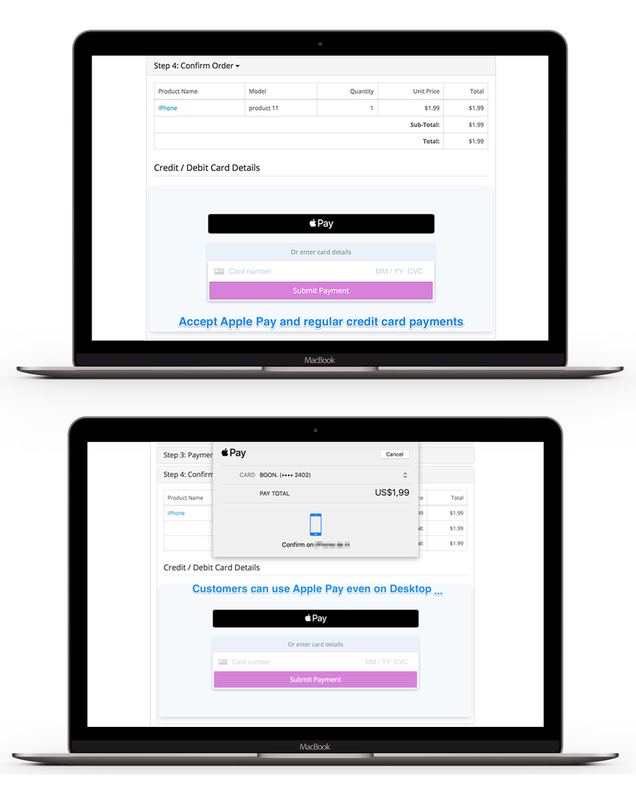 Accept Apple Pay & Google Pay and regular Credit Card Payments Online! 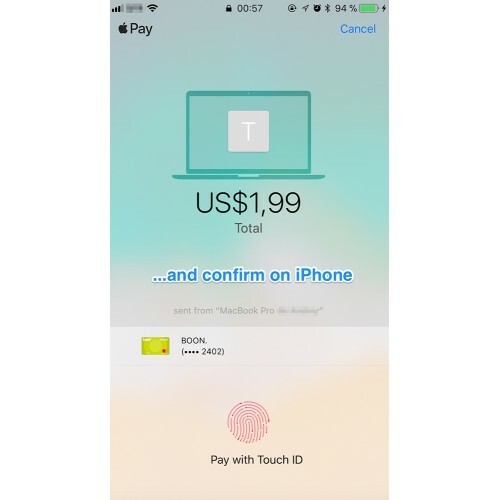 Developed by OpenPayments company, trusted by thousands of users. 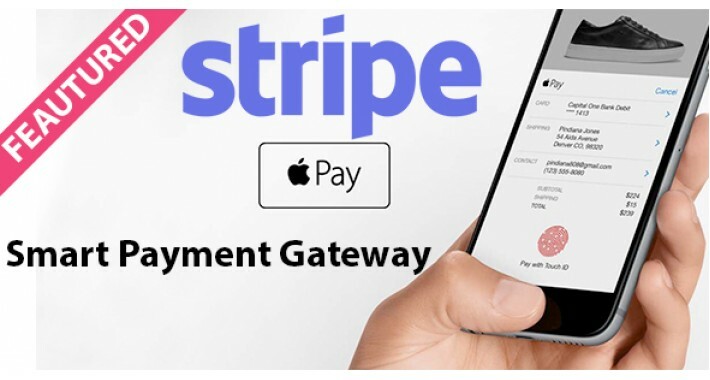 Stripe PRO allows you to accept payments directly in your OpenCart store using Stripe.com without any popups and redirections to third-party payment gateways. 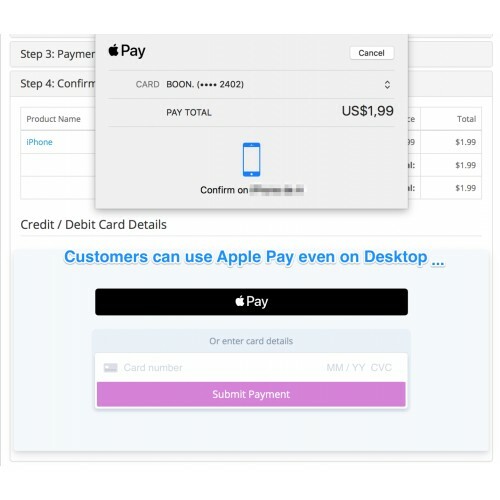 Your customers are shown either an Apple Pay / Google Pay / Microsoft Pay button or Payment Request button, depending on what is supported by their device and browser combination. If neither is available, the button is not displayed. 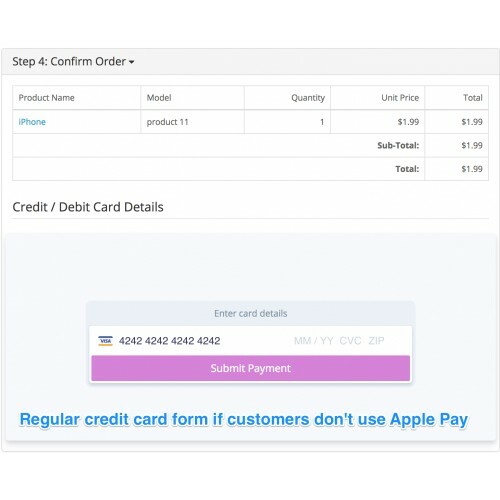 The Payment Request button also supports browser-saved cards. Feel free to ask us any questions you may have. Feel free to open a support ticket! No monthly fee! If you sell nothing in a month… you pay nothing. It’s great for mom and pop shops and start-ups lean on cash! 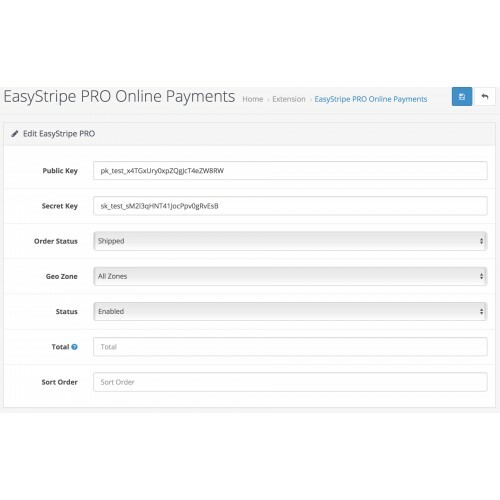 You can do all payment processing right on your site. 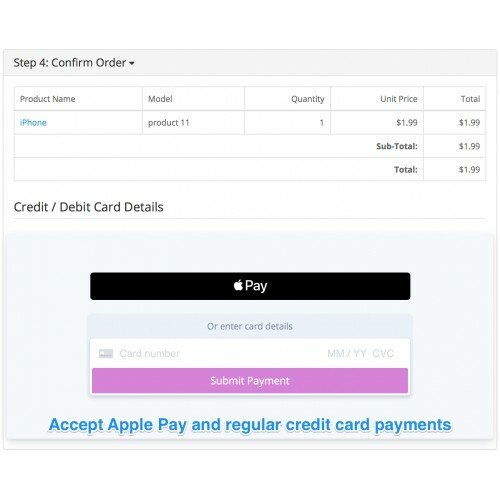 No need to send customers to another company website to process a payment. Stripe is rock solid! There are some huge names behind Stripe including the guys who founded Paypal, Peter Thiel and Elon Musk (yeah, the guy behind Tesla and SpaceX). Stripe is easy to use both on the developer side and on the user side. It has an exquisitely designed user interface that is just about as simple as you could hope for! Easily connects to your existing bank account. You don’t need to setup a separate merchant account if you don’t want to. Fees are similar to other payment processors except… remember… no monthly fee! 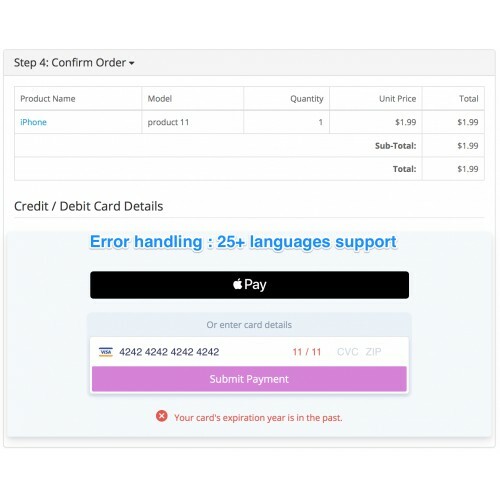 It’s already used on hundreds of thousands of stores all over the world. It has beautiful documentation if you’re the kind of person who likes to read documentation. Indiegogo saw conversions increase up to 250% when customers used Apple Pay to fund campaigns. OpenTable allowed diners to seamlessly pay for their meal via their iOS app and site. 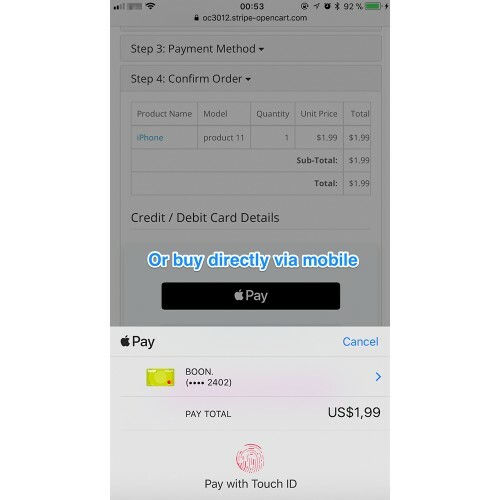 And Instacart’s customers completed checkout 58% faster with Apple Pay than other payment methods. 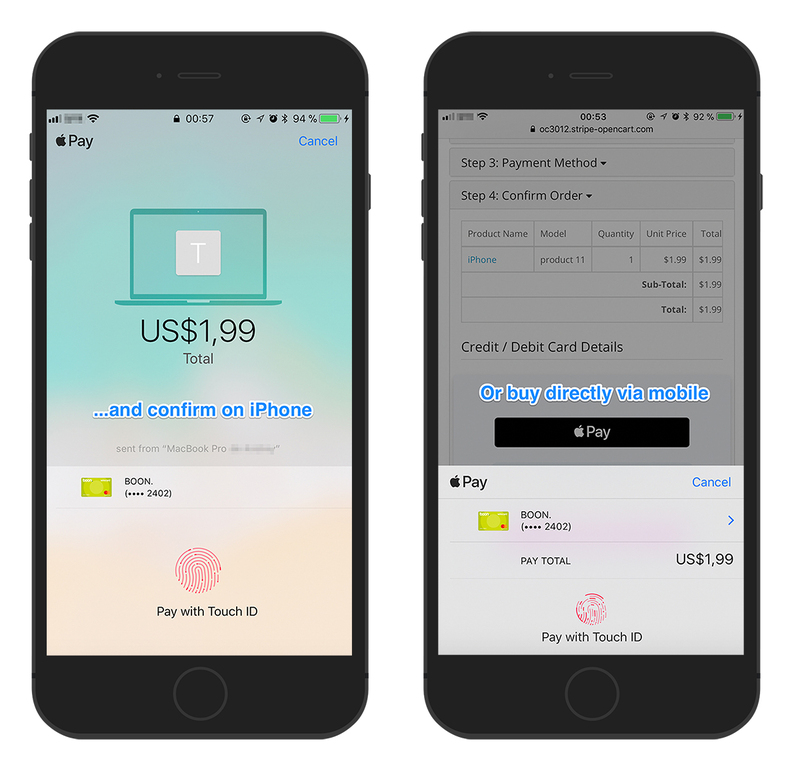 For any questions or customizations write a comment OR drop us an email (we reply within few hours): contact@stripe-opencart.com.